Ben Yuen Fu Wa with TRACEY (CHUI SZE)'s Darling Gor role won the Golden Horse Award Best Supporting Actor. He said that after returning to Hong Kong he still had play rehearsal and would be rather busy with work. Yuen Fu Wa also gave special thanks to boss Louis Koo Tin Lok. Actually after he won he spoke with Koo Tin Lok over the phone and both of them were very emotional. Koo Tin Lok was happy for him. Yuen Fu Wa said that he admired Koo Tin Lok very much for investing in and being willing to make a movie like TRACEY. Koo Tin Lok even gave he team a lot of creative freedom and very little suggestion, so they had room to perform. 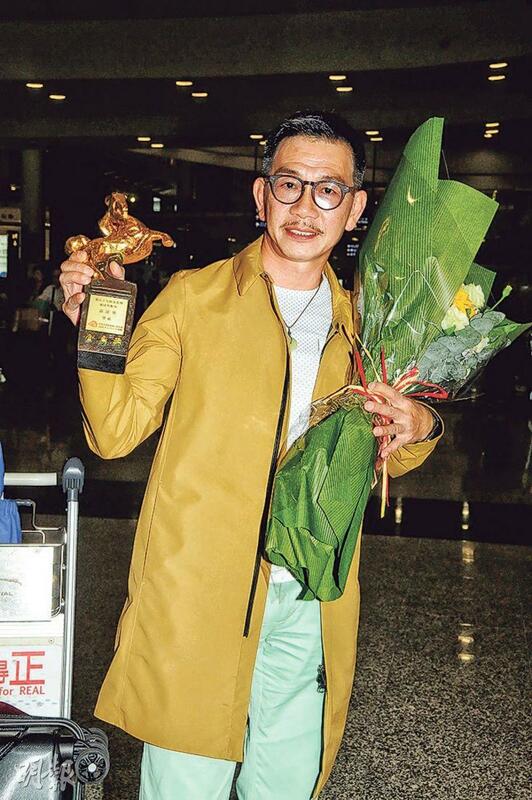 Did winning the Golden Horse give him more confidence in winning the Hong Kong Film Award? Yuen Fu Wa said that he did not pay much attention to awards. He said that if he only thought about whether he would win or not, it would be very painful.